Grantley is the Partner responsible for Nexia Edwards Marshall’s Business Consulting and Taxation divisions. Grantley advises medium-to-large businesses in the provision of taxation, accounting and business consulting services. Clients working with Grantley cite his strength as being his understanding of businesses as a whole not from just an accounting perspective. He often provides strategic advice in regards to all elements of business. When working with a client Grantley finds it critical to form an understanding of the strategic intent of the organisation which allows him to assist them to become highly successful and achieve their goals. This strategic nature is why Grantley is a valued director of many boards. As a proficient and popular guest speaker on a myriad of topics he is asked to speak at numerous seminars and State Conventions for Chartered Accountants Australia and New Zealand, The Tax Institute, CPA, CEO Institute, Television Education Network and Institute of Public Accountants. Grantley works closely with a number of clients to improve their businesses. His passion and enthusiasm coupled with his strong interpersonal skills allow him to work with clients to achieve their goals through a holistic approach. Grantley enjoys leading workshops to discuss, plan and then assist with the implementation of the strategic plan to achieve the goals of the clients. Strong ongoing management reporting and prioritising key performance indicators play a key role in achieving these plans as well as ensuring that information is communicated in a method that the client is able to understand and apply the information provided to them. He also provides detailed strategic taxation advice in various management consulting assignments, in particular performing due diligence and business valuations. He is often called on for his expertise to undertake comprehensive reviews of business structures to ensure key asset protection and successful family succession in a tax-effective manner. In doing this Grantley considers the tax and accounting implications as well as the impacts any potential change could have on the organisation. Through Grantley’s significant board experience he has strengthened his corporate governance expertise. He currently is a director of Greyhound Racing SA Ltd and is the company secretary for the Alexander & Symonds Group as well as being a key adviser to our larger clients on all elements of their business. His reputation within the Taxation field is highlighted by his past appointments within The Tax Institute including Chair of State Council and Chair National Education Committee. To mix business with pleasure he has been privileged to also be an active member of a number Port Adelaide Football Club committees and is currently a member of the Finance Committee, a position which he has held for a number of years. Grantley holds a Bachelor of Arts degree in Accountancy from the University of South Australia. 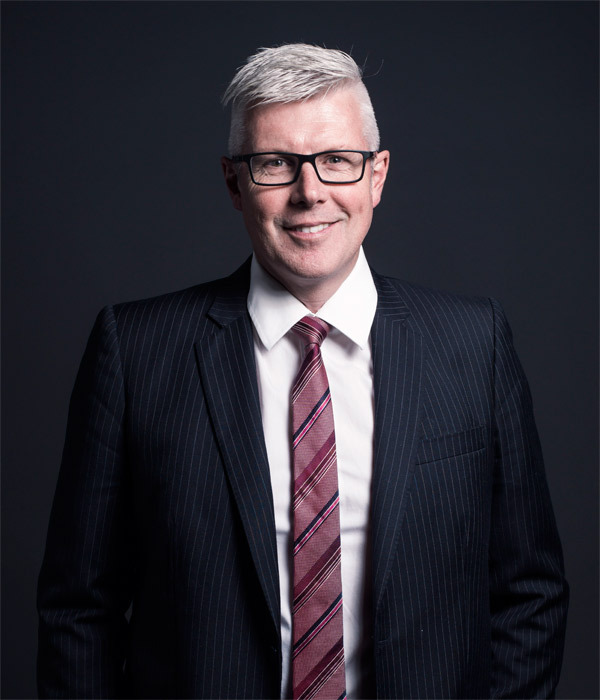 He is a Fellow of both Chartered Accountants Australia and New Zealand and The Tax Institute. Grantley enjoys watching his clients grow and develop, his knowledge coupled with his passion and enthusiasm results in a great outcome for his clients. Assisted one of Adelaide’s leading engineering businesses to sell both their business and the commercial property associated with it. Grantley assisted the client to determine a buyer with the initial planning revolving around how they could best integrate their staff and clients into the business which purchased them. Grantley assisted with the due diligence to ensure a successful integration of the ongoing projects to the new owners. As part of the sale the clients sold the business premises which was owned in a different entity. Grantley and his team applied to the ATO for a private ruling to successfully utilise the Small Business Capital Gains Tax concessions resulting in the client paying no Capital Gains Tax. Identified an ongoing taxation issue with a new client and effectively assisted with a corporate restructure which fixed two problems, the tax issue and the succession plan for the next generation. The client is a successful food manufacturer operating through a family trust. They required a succession plan for a number of their adult children to continue to grow the business for the next generation. The client also had various taxation issues due to the complexity of Div 7A which were inherited from a previous accountant. Grantley applied to Revenue SA to effectively licence the business to an operating company and through the use of various family trusts as shareholders has not only fixed the various taxation issues but also provided the succession plan the family required. Engaged by a client to undertake a business transition by introducing new shareholders. Longevity of businesses can be difficult due to the dynamics of the economy, cash flow requirements, technology and careful planning is also required to successfully integrate new owners. Grantley places a great emphasis on communication under these circumstances and as such he conducted a workshop to introduce new shareholders. This involved explaining the differences between shareholding, investing, employment, director roles and duties. Grantley then assisted with the preparation of a shareholder agreement which established the rules especially for future exits and entry of shareholders and the method of valuing the business at these key times. Assisted a large property portfolio client with a Land Tax issue. Land tax can be a significant cost of clients growing wealth by property holdings and hence careful planning is required. Grantley assisted the client by developing a plan to restructure which utilised various family members, companies and trusts. The client now has a structure that protects the commercial holdings from the various business interests, provides an efficient and effective tax structure and enables the properties and business to be transitioned to the next generation protecting the family wealth. Acquired a business on behalf of a client. Grantley was involved from the outset, performing the due diligence, determining the correct purchase price, considering the appropriate structure, liaising and reviewing the legal documents, assisting successful implementation of the business including IT selection and requirements. This meant the client had peace of mind throughout the process which limited their stress and also allowed them to have the confidence they had achieved a great deal.